John McMahon Westcott (1834-1907) a buyer and seller of grain, bought into and eventually purchased the Hoosier Drill Company which produced and sold grain drills. The company eventually became part of the American Seeding Machine Company and later became the Richmond branch of the International Harvester Company. The company was located at North 12th and "E" Streets. He was also the owner of the Westcott Carriage Company, which was closed in 1909. Mr. J.W. Westcott left an estate estimated to be worth two million dollars - an astounding figure for the time. 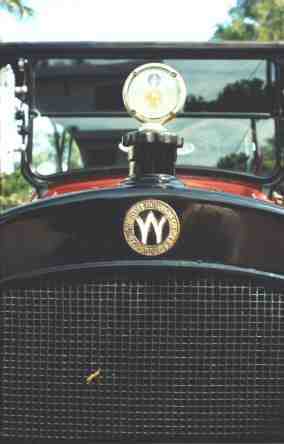 The Westcott Carriage Company gave way to the Westcott Motor Car Co. 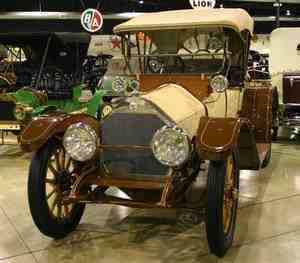 They produced automobiles in Richmond, Indiana from 1907 to 1915. There was a Westcott among the field of vehicles in the very first Indianapolis 500 in 1911. Burton J. Westcott (1868-1926), son of John W. Westcott, moved to Springfield, Ohio in 1903 where he continued as a successful business man and served as Mayor of Springfield for one term. He moved the Westcott Motor Car Co. there in 1916 and they continued to produce the Westcott automobile from 1916 to 1925. Burton and his wife contracted with the famous architect, Frank Lloyd Wright who built the notable prairie-style house in Springfield, Ohio between 1904 and 1908. The restoration of the Westcott House is in its beginning stage, but may be observed at 1340 East High Street in Springfield, OH. Ironically, the manufacturer's dislike of automobiles sent the internationally recognized Westcott car packing off to Springfield, Ohio, early in 1915. Production here began the following year and continued into spring 1925. John Westcott, together with his sons Burton and Harry, originated the Westcott Carriage Company in Richmond, Indiana, in 1896. 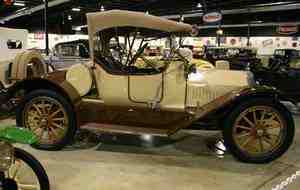 It was reorganized there as the Westcott Motor Car Company in 1909. Nonetheless, father John disliked motorcars because of their competition with carriages. So Burton, who had moved to Springfield in 1903 as treasurer of the American Seeding Machine Company, subsequently brought his father's car company to Springfield. Burton seems to have inherited his father's sense of hard work and fair play. John Westcott was born on a farm in Union County, Indiana, in 1834. An industrious youth, by age fifteen he was helping an old man buy grain and take it to the docks in Cincinnati forty miles away. Ever the hard worker, he bought into the small Hoosier Drill Company, which he owned in only five years and moved to Richmond. His factory, constructed by a Mr. Balling, a stonemason recently immigrated from Bavaria, was a three-story building of brick and stone that occupied two city blocks. Westcott, who had seven children, and sons-in-law Omar Hollingsworth, James Carr, and Fred A. Wilke, and son Burton controlled the company that employed four hundred men. Its seeders were sold worldwide. The Hoosier Drill Company became the American Seeding Machine Company, which evolved into the International Harvester Company. John Westcott also hired the stonemason to build a house in Centerville, Indiana, for another son Charles, who lived on a horse farm that sported its own track, and the senior Westcott's own home in an area of Richmond between Main and South A Streets, Fourteenth and Fifteenth Streets. The Westcotts lived at 1415 East Main Street. The house is now demolished. Other family members lived nearby on South Fourteenth and South Fifteenth Streets in the compound that came to be known as Westcott Place. A prominent civic leader, as was his son Burton, John Westcott helped to organize the Union Loan and Trust Company and the Westcott Hotel in Richmond, which also boasted a Westcott Pharmacy. According to the (Richmond) Palladium-Item, John—wanting to celebrate the United States centennial—did so in unusual style by planting the cornfield adjacent to his house in trees that spelled out "Centennial, 1876." John died in 1907 at the age of seventy-three, leaving an estate of approximately two million dollars. He is buried in the Westcott mausoleum in the Earlham Cemetery, Richmond, with his wife of fifty-two years, Caroline, sons Harry and Burton, and Burton's wife, Orpha. According to the February 21, 1915, Springfield Daily News column, "Automobile News," "The first of the much-talked-of 1915 Westcott cars arrived in Springfield Thursday, when C. S. Burke, local distributor, drove a four-cylinder, five-passenger touring car over from Richmond, Indiana. The new model is finished in Westcott green with divided front seats and one-man top. 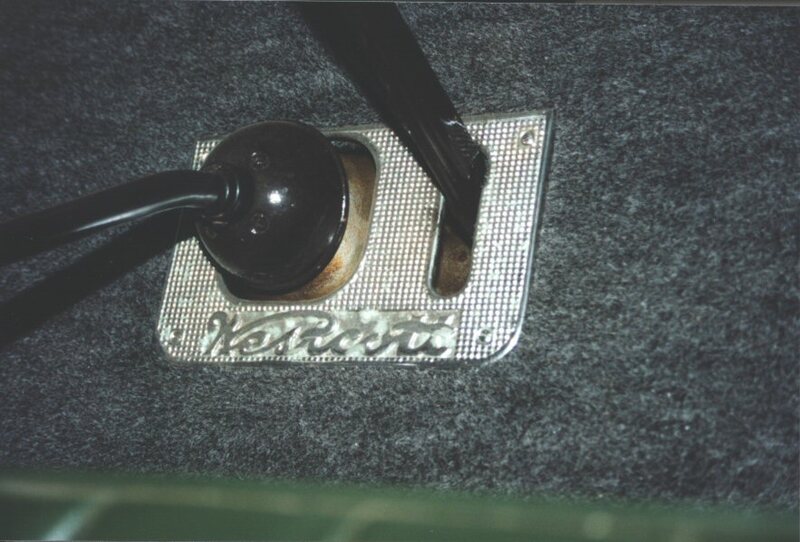 The company also offers maroon and natural wood finish wheels as an optional finish." The C. S. Burke Motor Company, established in 1915 at 17 South Center Street, soon moved to more permanent headquarters at 134 Washington Place. 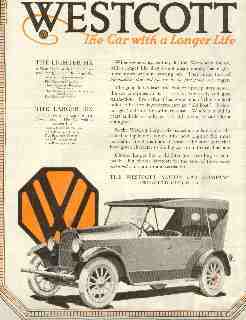 Subsequent area distributors of the Westcott automobiles were J. L. Hess and A. L. Lewis in 1919 and W. L. Hinchman in 1923. Among the distinctive features of the early car were a newly designed cam shaft, an automatic spark advance, non-skid rear tires, a solid walnut instrument board, Westcott-designed disappearing auxiliary seats, a rear gas tank, and high-quality improved leather, reported the Springfield Daily News February 7, 1915. A four-cylinder touring car or roadster cost $1,185 and a six-cylinder $1,585. When the Westcott automobile arrived in Springfield, it had already established its reputation for high quality and for fulfilling the promise of its slogan as "The Car with a Longer Life." The first model may have been a two-seater now in the Wayne County Historical Museum, Richmond. 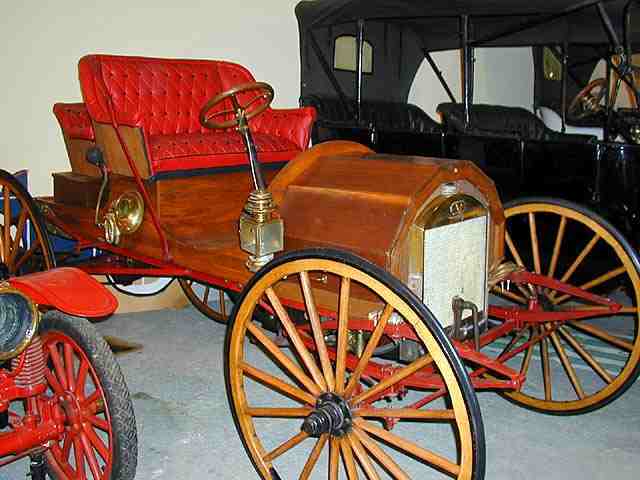 The earliest vehicles, described by the company as high-wheeled, buggy-type cars with 1-3/4-inch solid rubber carriage tires, could reach a top speed of approximately 35 miles per hour. These cars needed the ability to climb, for they were tested on Beller and Backmeyer hills between Richmond and Liberty, Indiana. The driver typically wore gauntlet gloves, goggles, and a linen duster. The first Westcott test in Springfield occurred in August 1916. In bringing the company to Springfield, Burton wanted to follow in this tradition of excellence. His twin goals were to produce a car of high quality and to take good care of his employees. In fact, so many workers moved from Richmond to Springfield that the area on North Limestone Street where they lived became known as "Richmond Row." The history of the car in both Richmond and Springfield is, of course, full of lore. For example, the story is told of three Westcotts entered in the Gluden Endurance Race in 1910. Clifford Bevington, a head test driver for the company, motoring from Cincinnati to Dallas, was in second place when he missed a bridge in Dallas and landed in the water. Another tale features Harry Knight, twenty-two, of Indianapolis, who drove a Westcott in the first Indy 500 in 1911. He was in third place after 196 laps when the mechanic of the car in front of him was thrown from the car. Swerving to miss him, Knight landed against the repair pit. Three wheels of his car were broken, and both he and his mechanic were injured. A fleet of Westcott cars raced against nature when it took donated food and clothing to flood victims in the Dayton area at the time of the disastrous 1913 flood. The Westcott car received kudos. A headline in the Springfield Daily News July 4, 1915, read "Westcott Car Wins Victory." The story goes on to report that "Chas. Balough, formerly chief engineer and factory manager of the Kelly Motor Truck Co., placed his stamp of approval upon the mechanical construction and body refinement of the Westcott motor car by the purchase of a four cylinder five passenger model from the C. S. Burke Motor Co., yesterday afternoon. This sale is especially gratifying to Mr. Burke, from the fact that Mr. Balough is classed by Motor World, as one of the four leading authorities of the country in motor construction. Mr. Balough will accompany Mr. Burke to the Westcott factory in Richmond, Ind., Tuesday and drive the new Westcott home." Known for luxurious appointments, Westcotts were driven by dignitaries including an Ecuadorian minister. 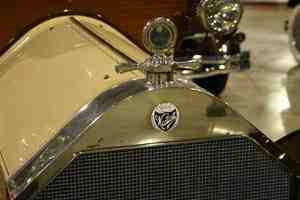 By 1920 dealers as far away as Cleveland, St. Louis, Dayton, Hartford, and California and Australia stocked Westcotts. One even appeared in Havana, Cuba. As the market for open cars faded, the Westcott Motor Car Company responded with a new model, The Closure, that featured sliding glass windows. 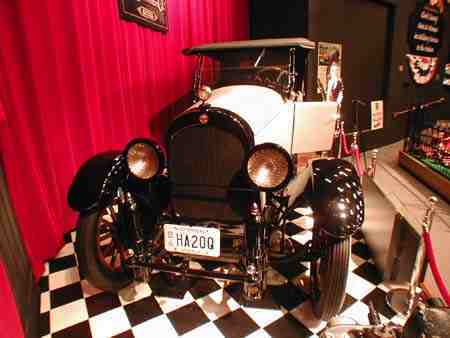 It sold for $1,795 in 1923. So entrepreneurial was the Westcott Company that as early as 1912 it cooperated with the Richmond Item in a contest to give away a touring car valued at $2,000. Winner was Miss Alice Vogelsang, who crashed into a tree the first time she drove the auto without an experienced chauffeur, breaking a wheel. By 1919 the company also advertised in national publications such as The Saturday Evening Post and Collier's and featured its own publication, The Hub Cap, in the 1920s. Company advertising went from emphasizing the Westcott's "longer life" to its ease and genuine comfort. The future of the company seemed bright when it scheduled sixteen hundred cars to be built between July 1916 and July 1917 and another two thousand between July 1917 and January 1918. These figures showed significant increases over earlier schedules. Soon the Springfield factory at Spring and Warder Streets was improved, a new building for storage was constructed, and a separate firm was organized to provide service to the cars. Orders increased so that a newspaper column of January 30, 1921, reported that the Westcott Company could return to full production after a winter decline in business. Even as the Westcott Company was thriving, so was the auto industry itself. The Springfield Auto Trades Association sponsored popular annual shows at Memorial Hall with as many as thirty different makes displayed for six days. Headlines in the local newspaper touted the success of the Westcott Company. The February 22, 1920, issue proclaimed, "Curtain Will Raise Tuesday On Big Affair: Memorial Hall To Be Resplendent—No Expense Spared in Decorations—Dealers To Exhibit 27 Makes of Cars While Accessory Men Will Have Numerous Booths." Another headline read, "1920 To Be Biggest Year In History Of Westcott Motors," while a third signaled, "This City Is Enthusiastic Motor Center: Automobile Ceases To Be Pleasure Car Only—Conveniences Provided In Machines By Manufacturers Make Long Trips Easier—Numerous Springfield Women Drive Own Cars" (Springfield Sunday News). A March 28 article the same year, headed "Westcott Plant Efficiency Increased By Daily Conferences of Departmental Heads," praised the management style that called for morning meetings to discuss matters such as schedules in an atmosphere that allows "open criticism without the men directly affected feeling personally offended." This system forecast today's "quality circles" or the modern trend to "total quality management." However, the company's good fortune would not last. The last known advertising for new cars sold at the factory—those already completed as well as those in the process of being built—appeared April 5, 1925. A local newspaper article the same day reported that the Westcott Motor Car Company had been sold the previous afternoon to J. B. Cartmell, Arthur Hill, and George Cugley for $81,000. Burton Westcott, reputedly the first man in Ohio to take out a one million-dollar insurance policy, had borrowed against it—ultimately to little or no avail. He died a broken man in 1926.